The latest Tweakware VPN is packed with lots of features that supports most ISPs in Nigeria. Tweakware has made some welcome changes over the years, mainly for the better. Users looking for simplicity and accessibility, especially from Nigeria, Dubai, South Africa, and other countries might well find this VPN tool to be the right fit and can use the 200mb trial to be certain. Tweakware VPN free browsing cheats are what many of us have sort after for years. From the old MTN bb10 cheats, Airtel tweaks, 4G LTE free browsing, Etisalat BB10 plans to the more recent ntel, Glo, and Etisalat free browsing cheats, the latest Tweakware VPN is software to be reckoned with. The Internet is like the “wild-west” and because of that nobody wants his/her internet activity to be sniffed on and tracked. Tweakware VPN will secure and encrypt your connection especially if you use public access internets such as Wifi®, Hotel, Airports and other establishments. Using Tweakware VPN will make it impossible for anyone to figure out what data/info you are accessing on the internet. It is is a tunneling software developed by CASTPORTS that can securely anonymize your internet activity by encrypting all your internet traffic. It can let you access websites and or contents/services that are restricted or blocked by your ISP. e.g Youtube, Hulu , Facebook, Twitter etc. Tweakware VPN is compatible with Windows PC, Android, iPhones. 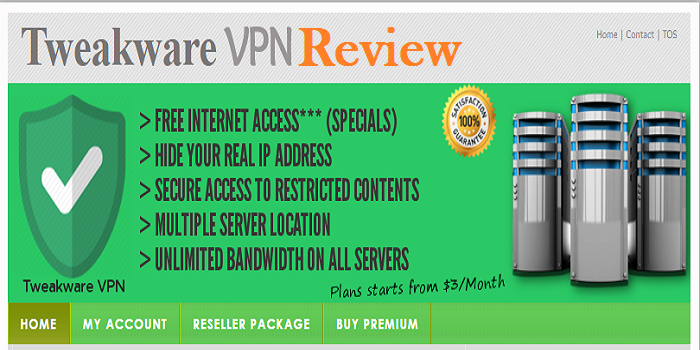 The latest Tweakware VPN is accessible through 3 pricing levels. You may sign up for three months or a single month at a time. A hassle free sign-up which gives users 200MB internet access is available, allowing you to try them with ease of mind. If you’re set on a full year, it makes sense to grab the discount available on the packages here, whereas, if you’d like to take things slower, the option is readily available. You may pay using Visa or MasterCard, or through PayPal. Sadly, it seems as though Tweakware VPN do not currently offer the option to pay through Bitcoin, thus preserving your anonymity more fully, though not all providers do. Prices aren’t the cheapest month to month, but overall in line with some of the more expensive VPN providers out – whether the full features justify the outlay is up to you after covering for positive and negative factors discussed in the balance of this piece. Tweakware VPN also has desktop versions; BetaTel VPN, Betamint, etc are among the Tweakware VPN for PC and Mac versions you will find and use for several free browsing tips. Tweakware VPN currently has servers in 5 countries: Netherlands, USA, Canada, and three in Germany. However, the server-coverage today is relatively inclusive and shouldn’t pose too much of a speed hit, geographically-speaking (as discussed further below, in the speed testing section). Tweakware VPN latest version supports several networks in Nigeria. They include MTN, Etisalat, NTEL 4G LTE, GLO Nigeria, and Smile 4G LTE. Other networks like the new InterC 4G LTE network may join the list soon. Download and install JRE 1.7 or Higher (i.e if you don’t already have this or a higher version installed). Download and install OpenVPN (32bit or 64bit depending on your OS arch) (i.e if you don’t already have this installed). Note: Using latest Tweakware VPN cheat for Android, Windows or Mac does not guarantee that you will always have free browsing access. Always check RuBizTech free browsing section for working cheat using this tool. Also, the various ISP reserves the right to block any working cheat any time.